Because improvement matters… we all deserve the best healthcare (as patients) and the best healthcare workplaces (as professionals). More engaged staff leads to better quality and lower cost. That's why I do this work. With my background in engineering, business, and manufacturing, I have varied experience and practical methods that can be used in many industries and settings, from the shop floor to the office to the executive suite. See workshops and services related to my latest book, Healthcare Kaizen: Engaging Front-Line Staff in Sustainable Continuous Improvements – one very successful and popular approach is the “Kaizen Kickoff” workshop where we work together to start continuous improvement practices, coaching leaders and staff to get the ball rolling. And it's not just healthcare – I've taught and coached groups in various service sector settings, including a non-profit and a utility services company. As an independent practitioner, I prefer to help clients by focusing on short, strategic (or tactical) engagements that provide specific experiences or value to an organization, leadership team, staff, and patients. I can also serve as an advisor or coach as part of an ongoing relationship over time. I generally work with people on site, but can also do some virtual coaching. 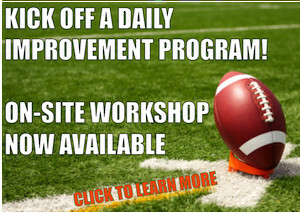 Learn more about my various workshops on Lean, change management, and other topics. Mark loves getting out of conference rooms to coach and teach where the work is actually done… defining problems and solving them, together. We got Lean at NorthBay last week during two one-day sessions for managers. 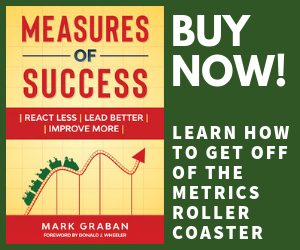 Our seminar leader, Mark Graban, a consultant, author, keynote speaker and blogger, is the author of “Lean Hospitals: Improving Quality, Patient Safety and Employee Engagement.” The principles of Lean were presented to more than 60 NorthBay attendees. We heard some eye-opening examples of how applying Lean principles made significant improvements possible in hospitals and physician practices. These examples helped to open minds about how lean could make NorthBay Healthcare and how we can become an even better provider of health care. The reaction from the NorthBayers in attendance was uniformly positive. To the question why should NorthBay embark on the Lean journey, I say “kaizen”! It's a good idea. Establishing systems and processes for harnessing staff suggestions and improvement ideas, coaching managers and leaders in the mechanics and the soft skills of “kaizen” (as featured in my book Healthcare Kaizen). Lean healthcare strategy – how to get started, selecting a long-term consultant, etc. Assessing your existing Lean transformation approach – what is working well, what are opportunities for improvement? Contact Mark or click here to reach me for more information. Mark is fully trained and certified in HIPPA compliance, bloodborne pathogen awareness, and all other requirements of a vendor certification process. Constancy, Inc. is incorporated in the State of Texas.